Federal prosecutors say 15 people have been charged with distributing tens of thousands of prescription painkillers in the Ohio Valley area of West Virginia. 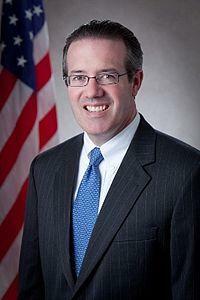 U.S. Attorney William J. Ihlenfeld II announced the unsealing of an 83-count indictment on Monday. 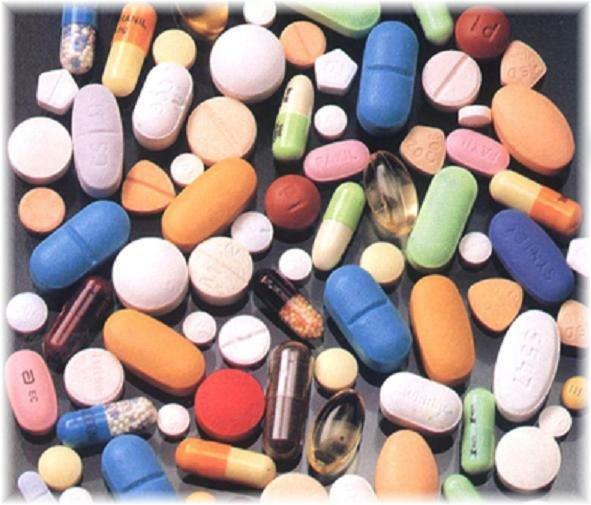 It alleges the powerful painkiller oxycodone and other prescription drugs were funneled into West Virginia from northern Ohio and Detroit. 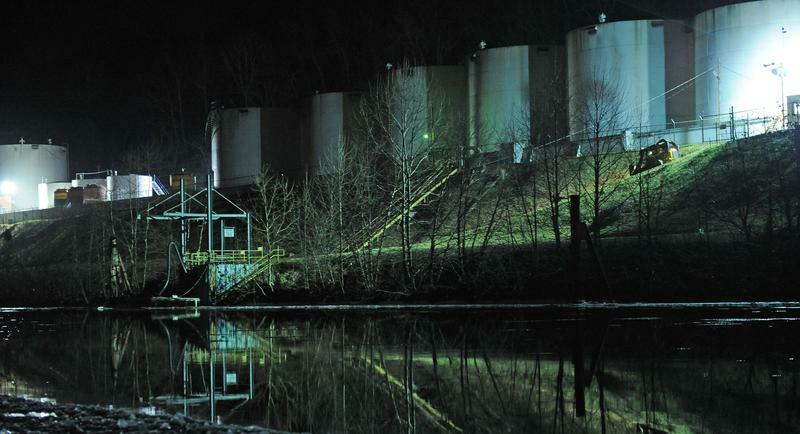 Tanks at the facility that spilled chemicals into 300,000 West Virginians' water supply were deemed out of federal compliance three months before the leak. U.S. Chemical Safety Board Chairman Rafael Moure-Eraso told a congressional panel Monday that Freedom Industries ordered its own review of its tanks last October. The Allegheny Front speaks with news director Beth Vorhees about the latest on the Elk River chemical spill and where we are one month later. Two West Virginia government agencies have been accused of ignoring steps that could have taken to prevent the Jan. 9 chemical spill which tainted the drinking water supply for residents in nine counties. The Charleston Gazette reports an emergency petition was filed Friday with the state Supreme Court on behalf of two nonprofit groups and two Charleston-area residents. Four weeks after the spill from Freedom Industries, test results from one school in West Virginia shows traces of MCHM. A sink at George Washington High School that had a sample gathered Thursday, February 6 tested at 0.018 ppm. This level remains below the Center for Disease Control and Prevention recommended threshold of 1 parts per million. Test results from 13 other schools being tested show non-detect levels of MCHM. The U.S. House Transportation and Infrastructure Committee held a hearing Monday morning in Charleston to learn more about the Jan. 9 chemical spill into the Elk River that left 300,000 people banned from using tap water for up to 10 days. The witness list included the president of West Virginia American Water, state health, homeland security and environmental officials, the chairman of the U.S. Chemical Safety Board and county emergency and homeland security officials. Freedom Industries President Gary Southern was invited but did not attend. 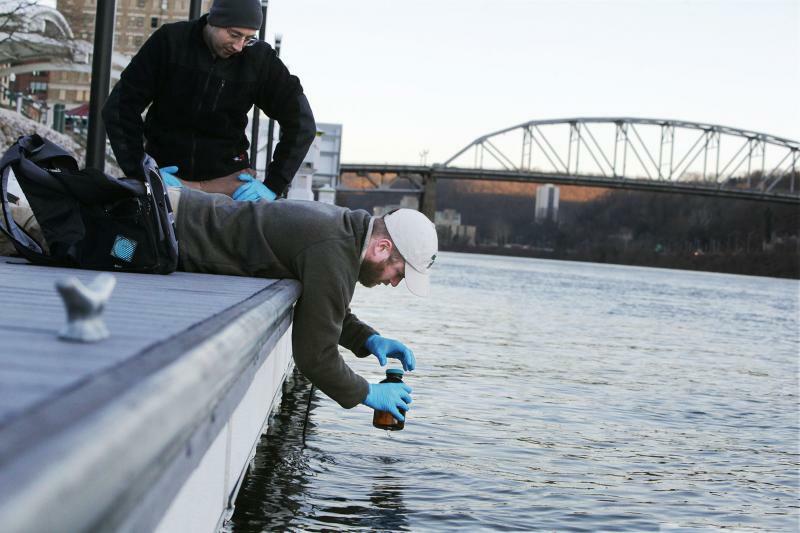 West Virginia University researchers say, in an effort to fulfill their land-grant institution mission of serving communities in the state, they stepped up to begin a research project to study the Elk River Chemical spill. University funds as well as a grant from the National Science Foundation have provided seed money to immediately collect perishable data to conduct this study. The Kanawha County Commission and the City of Charleston have announced bulk water distribution sites for Friday, February 7th through Sunday, February 9th. The Kanawha County Commission says bulk water tankers and buffaloes will remain at locations each day until 5:00 p.m. due to temperatures which are expected to drop below freezing nightly. The U.S. House Transportation and Infrastructure Committee has announced a field hearing in Charleston on West Virginia's chemical spill. 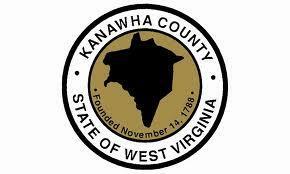 The meeting will take place Monday at 9 a.m. at the Kanawha County Courthouse. The witness list includes the president of West Virginia American Water, state health officials, homeland security and environmental officials, the chairman of the U.S. Chemical Safety Board and county emergency officials. Freedom Industries President Gary Southern has been invited. His attendance has not been confirmed. Even more Kanawha County schools have canceled classes because of an odor resembling the chemical that spilled into a regional water system last month. West Virginia Department of Education spokeswoman Liza Cordeiro says Kanawha County Schools Superintendent Ron Duerring directed J.E. Robins Elementary School in Charleston to close Thursday morning as a precautionary measure. West Virginia’s going through a tough winter. Not just because several places have endured record low temperatures, but also because it’s on pace to get more than usual amounts of snowfall. West Virginia's lowlands are on pace to get higher than normal amounts of snowfall this year, according to Joe Merchant, meteorologist with the National Weather Service. Merchant adds however, that some of the highest elevations are receiving about the same amounts of snowfall as expected. Gov. 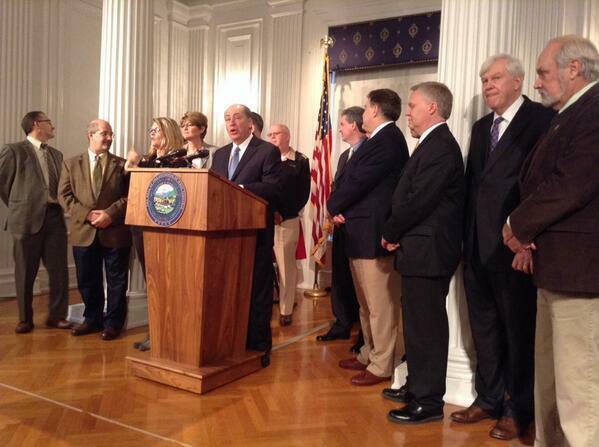 Earl Ray Tomblin is evaluating options to test tap water in people's homes after last month's chemical spill. After the Jan. 9 chemical spill, officials have based testing at the West Virginia American Water treatment plant and various other spots across the affected region. 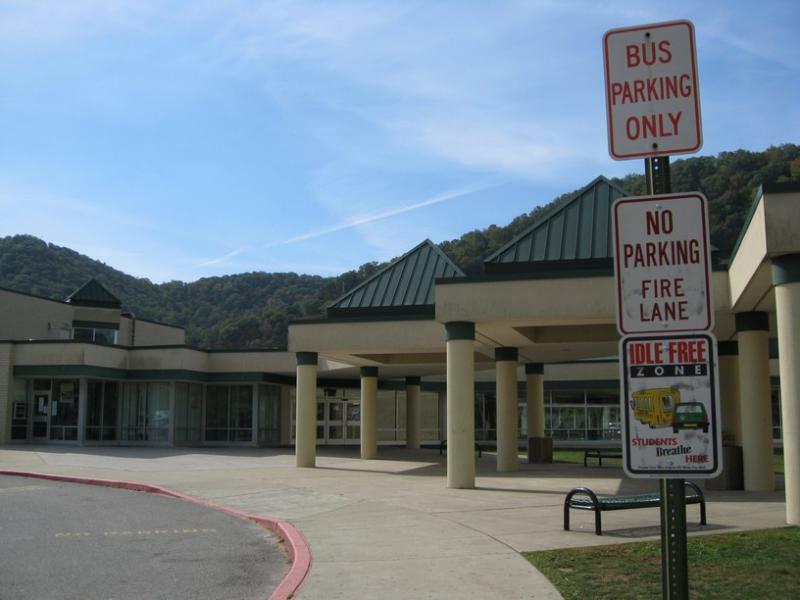 Two West Virginia schools closed early because of an odor resembling the chemical that spilled into a regional water system last month. Riverside High and Midland Trail Elementary in Kanawha County closed Wednesday morning because of the licorice smell. 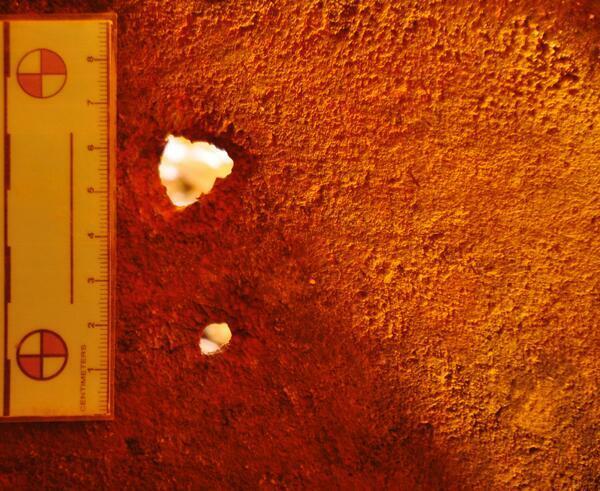 The chemical wasn't detected in previous testing. Governor Earl Ray Tomblin was joined Wednesday by state officials as well as officials from the Centers for Disease Control and Prevention and Environmental Protection Agency to provide an update to the ongoing response to the January 9 chemical spill by Freedom Industries into the Elk River. 1. The 1 parts per million threshold for MCHM doesn't declare the water "safe." Co-Chair of the Joint Legislative Oversight Commission on State Water Resources, Mike Manypenny, is no stranger to water concerns throughout the state. Since the passing of the Horizontal Well Control Act of 2011, Manypenny of Taylor County has introduced and reintroduced about 30 pieces of legislation designed to strengthen environmental controls to protect water sources, air, and public health. This year he’s introduced over a dozen bills that deal with water resources directly. Gov. Tomblin Wednesday afternoon joined members of the state and federal team involved in efforts following the January 9 chemical spill into the Elk River and water crisis that followed. Tomblin, along with officials with the Centers for Disease Control and Prevention, the Environmental Protection Agency, as well as state agencies, provided an update on what has been accomplished, the current status of spill response, and the actions the team plans to take moving forward. Thousands of gallons of the chemical that spilled into 300,000 people's water supply are leaving West Virginia and heading to Pennsylvania. Freedom Industries expected to move 3,500 gallons of crude MCHM from its Nitro facility to a coal facility in Pennsylvania on Tuesday. The Charleston Gazette reports that two schools have dismissed early Wednesday morning over concerns regarding the safety of the water after a flushing process began this morning. The CDC has published information regarding chemicals involved in the Elk River chemical spill, how they've determined thresholds for safe drinking water, and more. An official says two state air quality employees have appeared in front of a federal grand jury about the West Virginia chemical spill. State Department of Environmental Protection spokesman Tom Aluise confirmed Tuesday that they testified several weeks ago in Beckley. News director Beth Vorhees speaks with Here & Now's Robin Young about Monday night's public hearing in the House of Delegates chamber and other aspects of the story on the January 9 chemical spill at Freedom Industries. 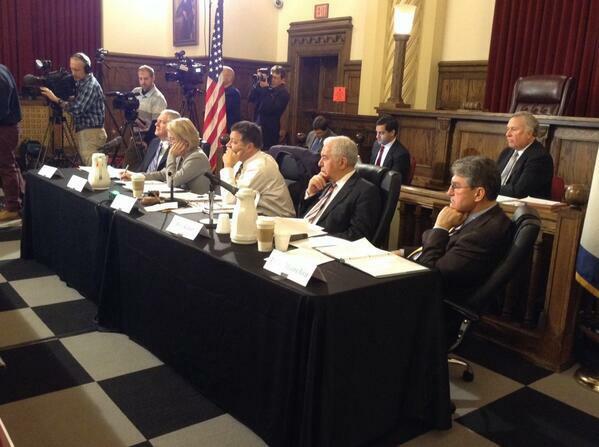 Watch video of the U.S. Senate subcommittee hearing testimony on the West Virginia chemical spill held February 4. The Committee on Environment and Public Works' water and wildlife subcommittee convened Tuesday on the spill that left 300,000 people without clean water for days. Water donations from across the country are finding their way to West Virginia … still. But the Charleston area is not the only place where residents don’t feel safe to use the tap water. Residents in a community in Wyoming County have been purchasing drinking water since September. Herndon Consolidated and residents in the surrounding communities have been buying their water for about five months. The community has been on a boil water advisory while ‘ownership issues’ are resolved and the aging water system is worked on. West Virginia residents and small businesses affected by a water-use ban will receive credits for clearing out their water systems. 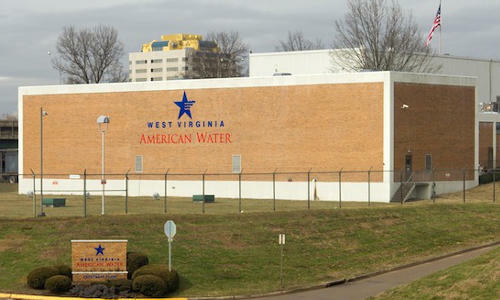 West Virginia American Water will give small businesses a 2,000-gallon credit worth about $20 per water bill. The credit for 5,280 affected small businesses also accounts for flushing their systems and additional cleaning requirements. BRIAN NAYLOR, BYLINE: I'm Brian Naylor in Washington. Editor's Note: Officials with Kanawha County said Monday that winter weather has affected the ability to offer more bottled water at this time. We will update this post once again if announcements are made about bottled water distribution or if bulk water supply locations are changed.